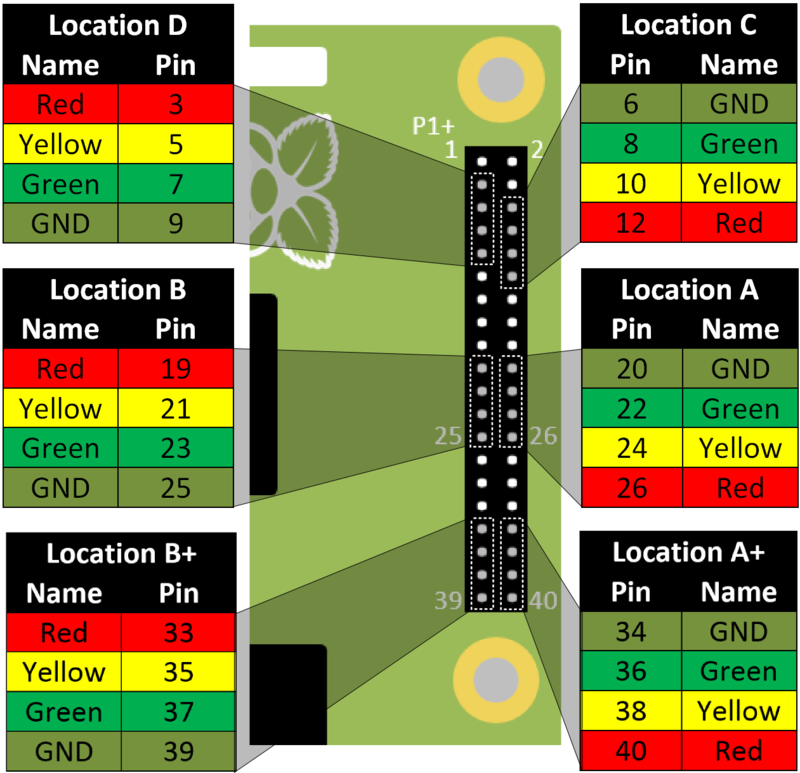 The Raspberry Pi has a pin connector (P1) which includes 17 general purpose input output pins, which provide the ability to digital control of hardware or sensing of digital signals. 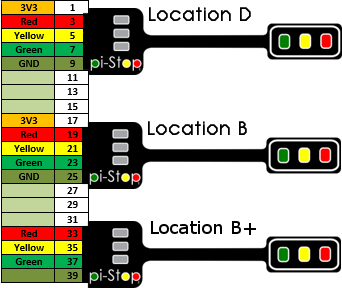 The pin header also contains several power (5V & 3.3V) and ground pins, as shown below. 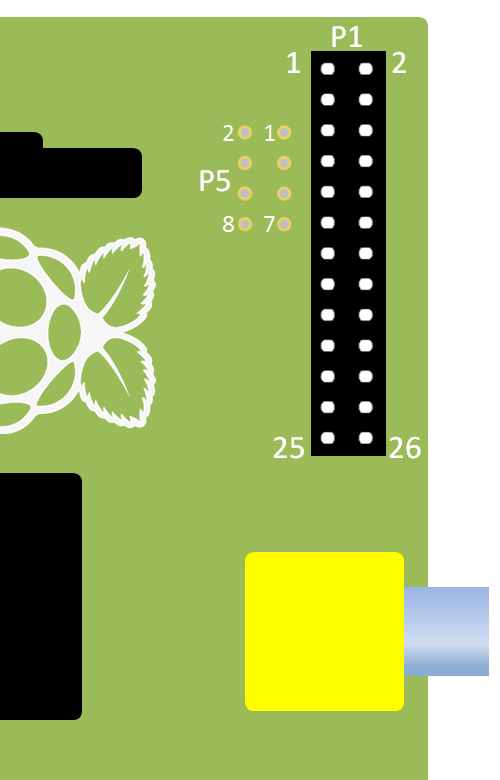 NOTE: Pins 27 and 28 are reserved for HAT (the Raspberry Pi add-on Hardware-On-Top support). 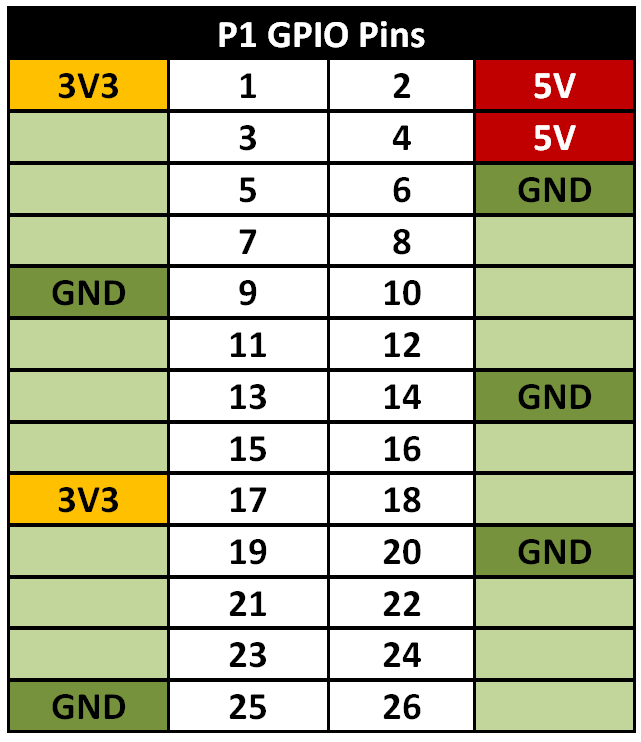 NOTE: 3.3V is often written as 3V3 in diagrams, this makes it clear that the value is definitely 3.3V rather than mistaking it for 33V by missing the decimal point “.”. 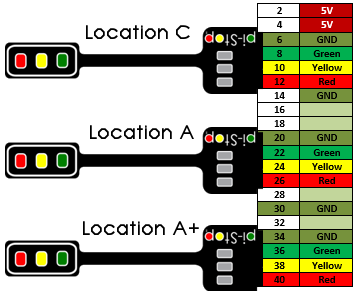 We will refer to the main 26 pin header as P1. 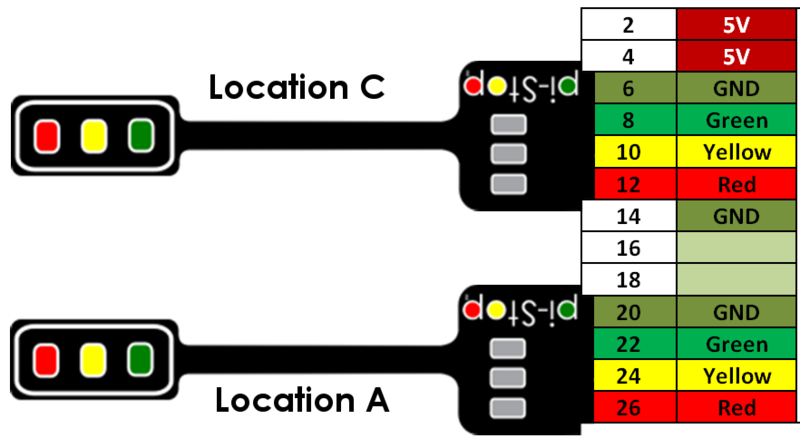 There are several conventions for referencing the GPIO pins, however where possible we will use the pin’s physical position (where Pin 1 is located nearest the SD-Card and DSI connector and Pin 26 is near the analogue video connector and the edge of the board). NOTE: Sometimes you will see other names/references for these pins. This is because some of the GPIO pins also have additional special functions which support features such as 1Wire, I2C, SPI and serial (types of communication protocols) and PWM output (a special digital output mode). Remember, you must never directly connect two pins together (called a short circuit), as this may permanently damage the Raspberry Pi (by allowing too much current to flow). WARNING: The Raspberry Pi can easily be damaged if you not careful when using the GPIO header. 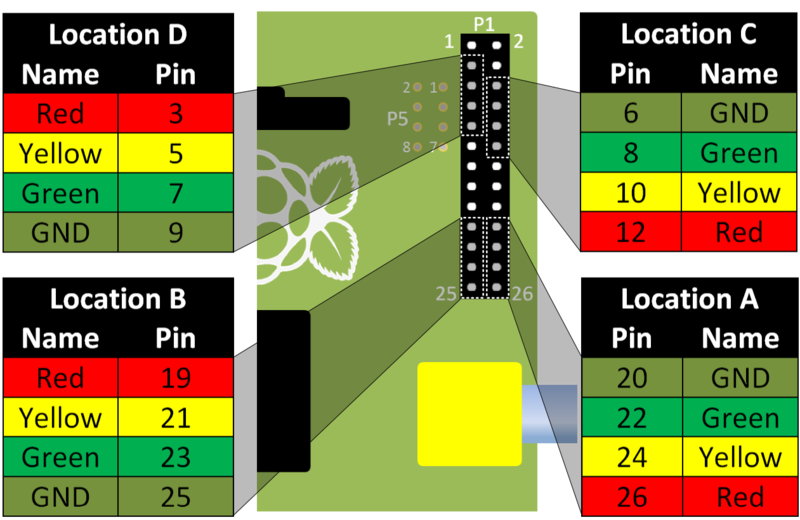 The Pi-Stop includes three small resistors which will limit the current through the little LEDs, this protects the Raspberry Pi and also the LEDs. Any circuit you connect to the Raspberry Pi should be designed to function using 3.3V logic and use low current signals. If you wish to use more powerful hardware such as motors or 5V logic levels you will need additional circuits to drive them safely. 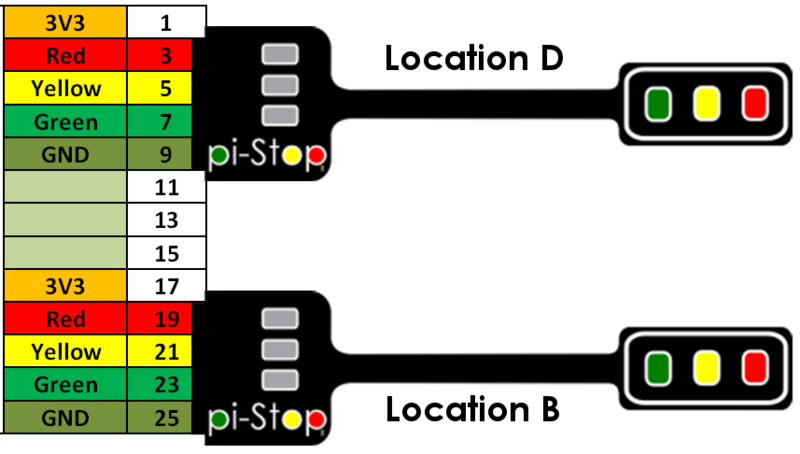 We have selected standard locations for the Pi-Stop which are easy to locate and allow the unit to face outwards from the P1 header. This will allow you to control up to six Pi-Stops at the same time! 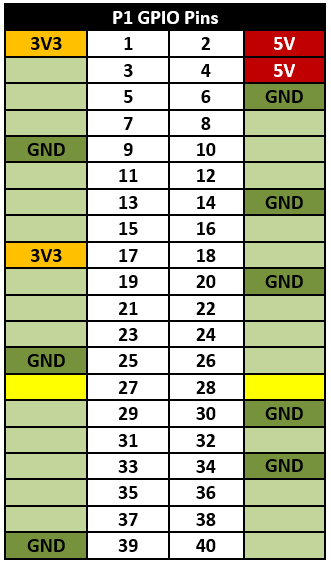 The Model A+ and B+ have two more supported locations A+ and B+ compared to non “Plus” models. 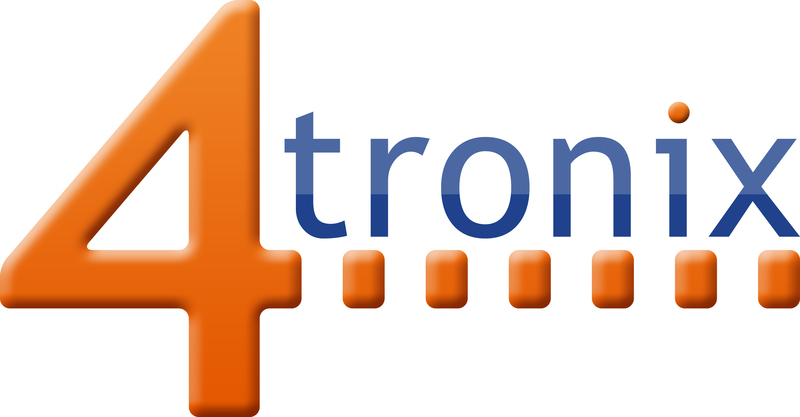 This also allows you to control up to four Pi-Stops at the same time! WARNING: Extra care should be taken when using locations A, B C and D since they will not line up with the end of the P1 header. WARNING: Extra care should be taken when using locations D and C since they will not line up with the end of the P1 header. When the Pi-Stop is connected and the Raspberry Pi is powered up you may notice that some LEDs are already lit. This is due to the default settings of the Pins. This can help you confirm that you have connected the Pi-Stop correctly. NOTE: This may vary slightly if you have additional hardware enabled such as LCD screens etc.